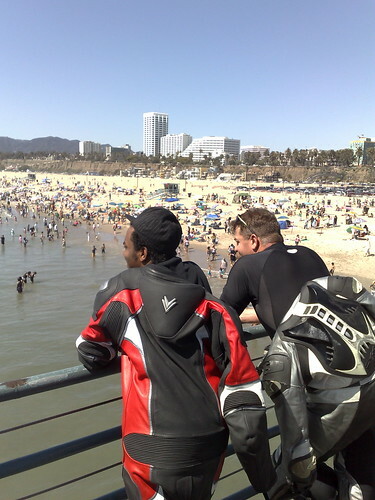 My friends from 702sportbikes hauled my bike down to Santa Monica today so we could ride in the area. I’ve got a few more pictures on Flickr… and some poor video of Paul doing a carnival game in full race leathers. i was hoping to come ride with you guys, but it’s the last day before the Android Challenge deadline (+ my brakes are shot) – good to see you had an enjoyable time.